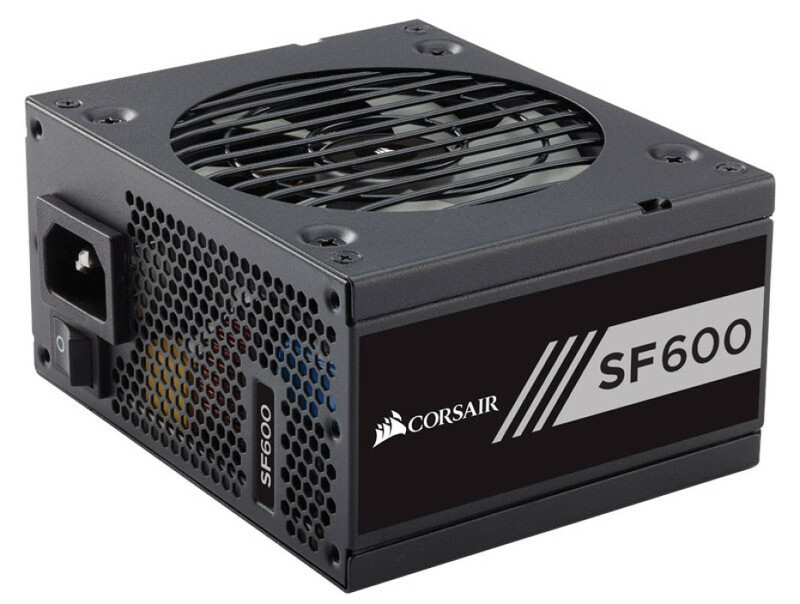 Corsair has announced its first ever SFX power supply unit line, which currently includes just two models – the SF600W and SF450W. Although they are not the most powerful PSUs on the market now, featuring 600W and 450W of power output, respectively, the SF600W and SF450W come with many useful features – they are fully modular, they include 100 per cent 105 C° Japanese capacitors and they are 80 Plus Gold certified. Designed to fit nearly all ITX cases the SF600W and SF450W are cooled by a full-sized 90 mm cooling fan, which makes these two PSU models the only one to come with such a cooling solution. The fan comes with Corsair’s Zero RPM Fan Mode, thus ensuring efficiency and low noise. It operates only when the PSU is under load, providing virtually silent operation at low and medium loads, which is another first for a SFX power supply unit. Both Corsair SFX PSUs are offered with a 7-year warranty and are backed by a worldwide customer support network. The 450-watt SF450W model is available now for USD 89.99, excluding tax, while the 600-watt SF600W PSU will be available a little later for USD 119.99, excluding tax. You can pre-order your SF600W now, though.